Add a subtle finishing touch to your hen party outfit with this cute Hen Party Rubber Bracelet Band. Get one for every guest and be a coordinated pack of hens! 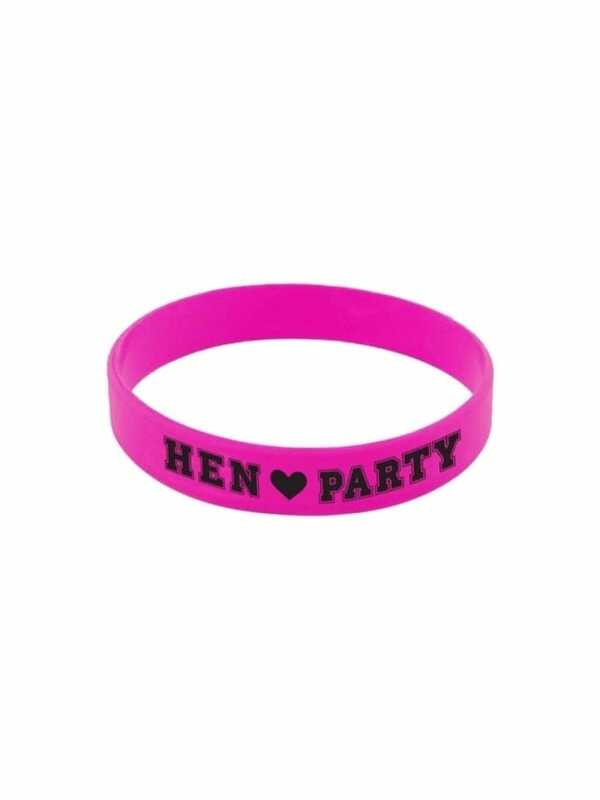 The rubber bracelet is hot pink with bold black text that reads 'HEN PARTY'. It's stretchy, durable and comfortable to wear. Why not also get the bright pink Hen Party Boppers, to make sure you stand out in the crowd? Lovely wristband, ideal for goody bags. I wore mine for the whole of my daughter's hen weekend. It went on well (I don't have dainty hands or wrists!) and was comfortable. Well made for what it is.